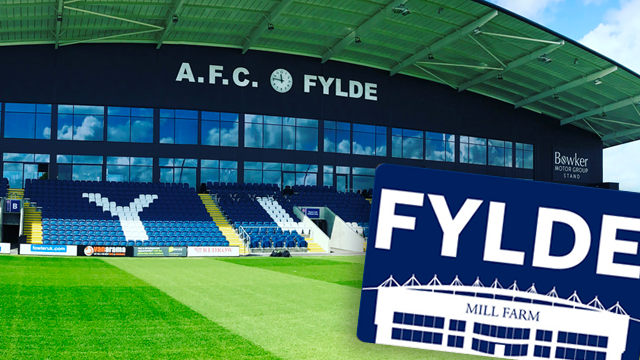 We are delighted to announce that all Members and Season Ticket Holders can now take advantage of our fantastic CASHBACK facility here at Mill Farm! Earn up to an incredible 25% CASHBACK on food, drinks and merchandise at all of our outlets by simply paying with your Membership card! Loading up your card online couldn’t be easier and you can even choose whether to add a single top up or set up a recurring top up. See below for a simple step-by-step guide on how to load up your card and start earning cashback on your purchases TODAY! ECASH … GET LOADING AND START EARNING! Click on ‘Account’. You can also view your transaction history on this page. Ensure that your email is correct to receive the emailed receipt. Money is instantly deposited and can be used straight away. Enter the top up amount and the minimum threshold. Once you drop below your minimum threshold, your top up amount will trigger. Follow the instructions to set up your payment method. To pay for goods, simply present your card to your server and inform them you wish to use the ecash function to pay. The cashback will be refunded to your card immediately upon settling of the bill. Please note that all cards are now ecash and card holders MUST top their card up beforehand as discounts are no longer available. *Cashback is not available on ticket purchases or hospitality. Only purchases made with eCash (i.e. with your card) will receive the cashback. All other payment methods will be payable at full price.